The former president attended the training session of National First Division side Uthongathi FC. The players welcomed the former statesperson to the training grounds with a personalised jersey, with his clan name “Msholozi” written on the back as is the tradition in football. 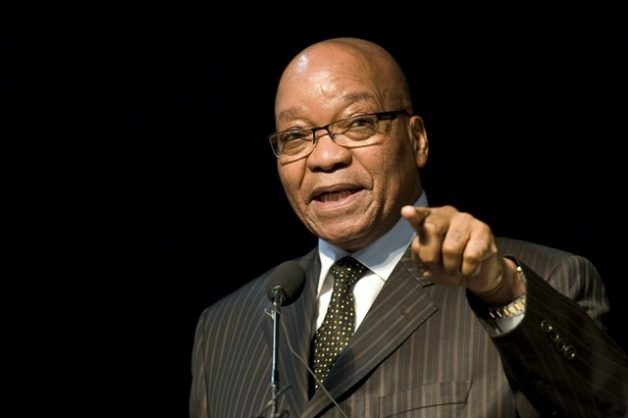 Zuma was with the Cane Cutters is his capacity as the founder of the Jacob Zuma Foundation. Uthongathi management hope the visit by the former president of South Africa will help inspire the players to fight for a top-three finish on the league table. The KZN side is in sixth position with nine games to play. The Cane Cutters hope to qualify for the playoffs for them to try and compete for promotion into the Absa Premiership next season. “Today’s training was not the same as other days as we were visited by the founder of the Jacob Zuma Foundation,” read tweet from Uthongathi FC.